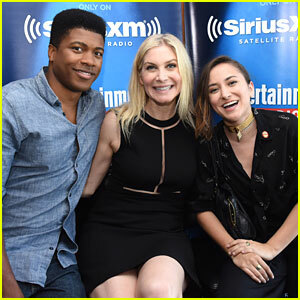 2016 san diego comic con Photos, News, and Videos | Just Jared Jr.
Zelda Williams, Eli Goree and Elizabeth Mitchell gather up for a group pic inside SiriusXM’s Entertainment Weekly Radio Channel at Hard Rock Hotel on Friday (July 22) in San Diego, Calif. The three Dead of Summer stars opened up about what fans will get to see on the upcoming episodes of the thrilling Freeform show, ahead of their 2016 San Diego Comic-Con panel. Alycia Debnam-Carey looks great in a grey dress as she arrives for Entertainment Weekly’s Comic-Con Bash held at Float, Hard Rock Hotel on Saturday night (July 23) in San Diego, Calif. The 23-year-old actress hit up the party after promoting Fear of the Walking Dead during 2016 San Diego Comic-Con with her co-stars, including Lorenzo Henrie. During the panel, a new trailer for the upcoming season was revealed and saw Alycia‘s character, Alicia, and Ofelia (Mercedes Mason) making their way back out to sea. Watch below! Cole Sprouse whips out his best red carpet pose while arriving for Entertainment Weekly’s Comic-Con Bash held at Float, Hard Rock Hotel on Saturday night (July 23) in San Diego, Calif. 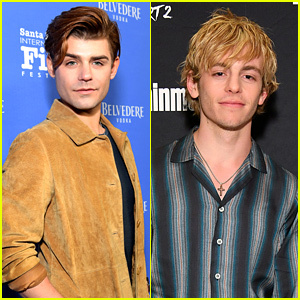 The 23-year-old actor joined his Riverdale co-stars Madelaine Petsch, Lili Reinhart, Camila Mendes, Luke Perry and KJ Apa at the party after stopping by SiriusXM’s Entertainment Weekly Radio Channel earlier in the day. – The story is going to be a more serialized neo-noir format that revolves around murder in Riverdale that kicks off a lot of the action for the series. – There’s no Betty vs. Veronica conflict. A friendship will be built between the characters, played by Lili and Camila, after Veronica transfers schools. Madelaine also took over JJJ‘s Snapchat during the day and you can see all her Snaps below! Tyler Hoechlin waves to the fans in the crowd after being introduced at the Supergirl panel during 2016 San Diego Comic-Con on Saturday (July 23) in San Diego, Calif. The 28-year-old actor opened up about taking on the role of Superman on the show. “Definitely incredibly surreal. 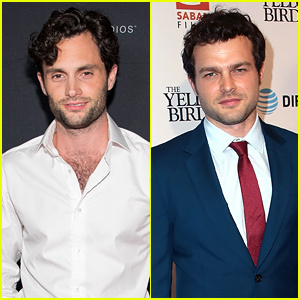 I know the character represents so much to so many people,” Tyler said. “Because big things are happening. Big things have to happen when Superman and Supergirl get together,” executive producer Sarah Schechter adds about the feel of season two. 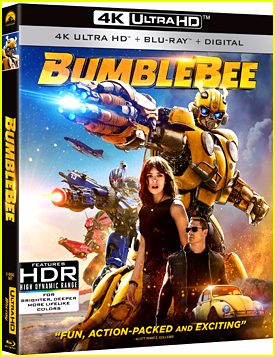 Melissa Beniost, David Harewood, Jeremy Jordan, Mehcad Brooks, and Chyler Leigh are also pictured below. Paul Wesley gets a kiss from girlfriend Phoebe Tonkin inside Entertainment Weekly’s Comic-Con Bash held at Float, Hard Rock Hotel on Saturday night (July 23) in San Diego, Calif. The cute couple, who celebrated his 34th birthday during 2016 San Diego Comic-Con, joined both of the casts of The Vampire Diaries and The Originals inside the party. Both casts are also pictured at SiriusXM’s Entertainment Weekly Radio Channel earlier in the day.